GOLD BROWN GLASS METAL MOSAIC TILE. Gold brown glass metal mosaic tile will generate feelings of cozy intimacy in your home with its subtle and earth inspired warm tones. 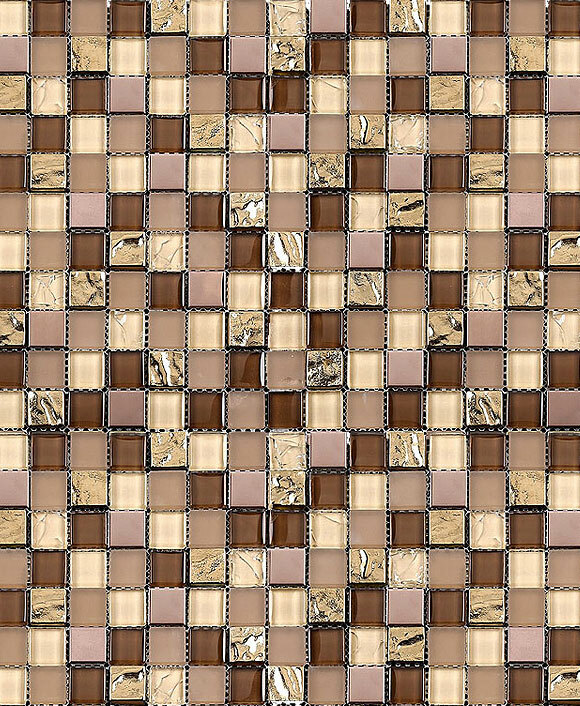 Plummy browns, creamy beiges, and rich coffee colored squares create a lustrous and unique pattern that will become the most beautiful and noticeable feature of your kitchen. The metal inserts shine alongside the versatile glass, and both types of squares will be low maintenance. Pair this gold brown glass metal mosaic tile with espresso cabinets or medium brown cabinets and beige granite countertops or quartz countertops.